Need to zap away a scar or a burn? Cover up a bald spot with implants? Whiten teeth for a dazzling smile? 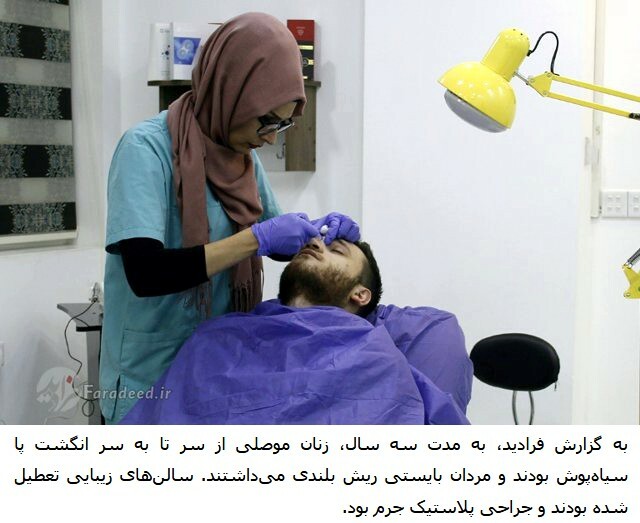 Mosul’s plastic surgeons and beauticians are at your service.Raji Najib, a Syrian living in Mosul, recently made use of the city’s aesthetic offerings.The 40-year-old had long been self-conscious of his bald spots, until his Iraqi friends told him what had worked for them — hair implants at a new clinic in their hometown.